Software expertise: 3ds max 5,9, poser, daz3d, Photoshop, etc. This model refurbished from 3dmodelfree.com and did not have its designer name so I couldnot credit it. 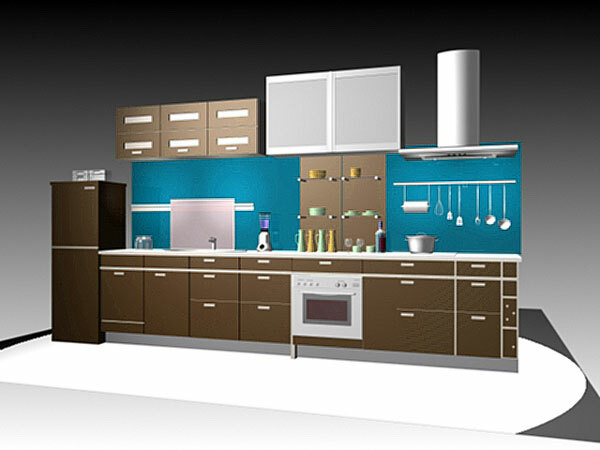 Home kitchen interior residence kitchenware dwelling appliances shelves inside fittings furnishings fixtures house furniture shelf cover plan model picture design modeling rendering lightning polygons.